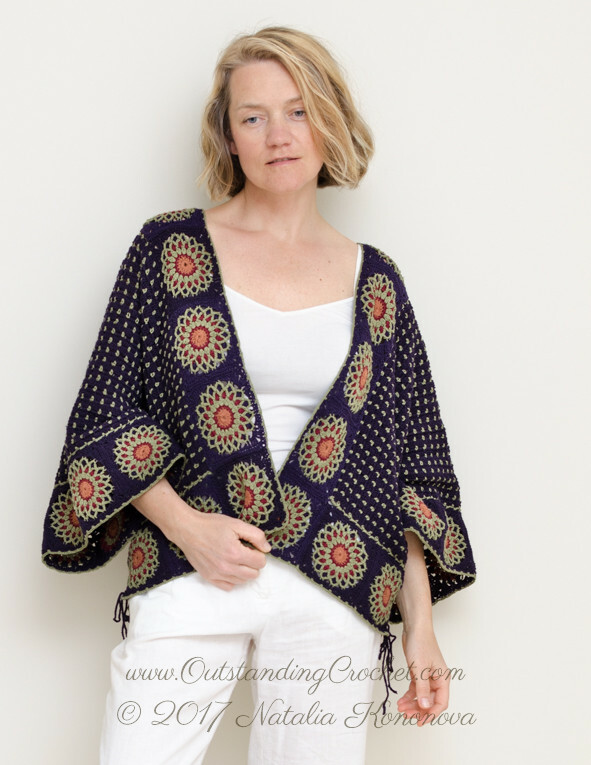 Outstanding Crochet: NEW Crochet Pattern - Seamless Convertible Cardigan / Pullover. NEW Crochet Pattern - Seamless Convertible Cardigan / Pullover. Crocheting a sweater is a lot of work. Wouldn't it be great to work on one, but get 2 different garments? Depending on you mood, wear it as a cardigan or a top / sweater. Transformation is done by lacing 2 parts in different ways. It would take you 10 minutes to change between styles! Mandala motifs represent a microcosm of the universe. They embrace a deep purple body of endless space with far away galaxies and meteorite trajectories. Check out 2 in 1 Convertible Crochet Pattern - Cardigan / Pullover (clickable link). 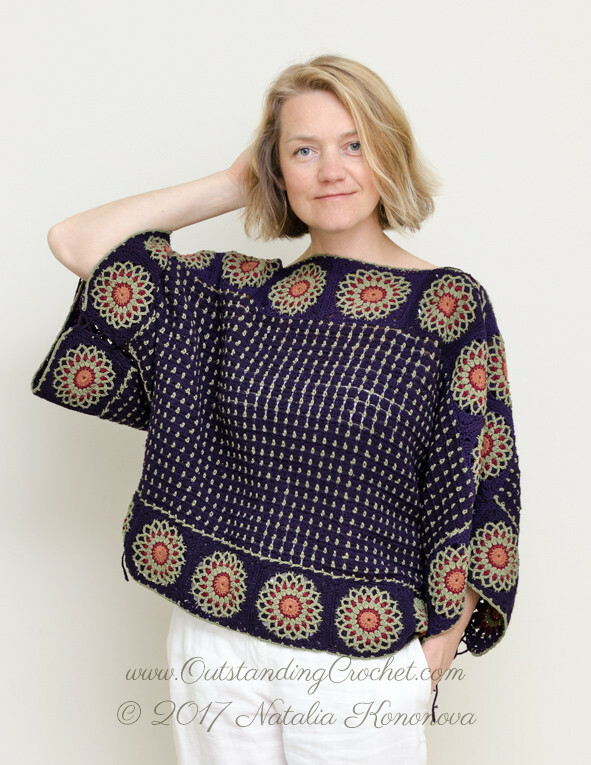 Pattern is made with step-by-step pictures, schematic and crochet charts. Sizes - one fits M, L, 1X, 2X. Model is size Medium / 38'' / 96 cm bust circumference, 5' 6'' /168 cm height. Sign Up to receive a discount. Hands down, This is the most awesome crochet pattern I have ever came across. It looks good with front open. I am new to knitting and have been taking online classes and so far i have created small items and this is a great idea for my weekend project.Thanks for the inspiration. I will be subscribing to you for more posts like this..